The Tribunal spent time analysing and rejecting the Weapons Licensing Branch argument that a pistol was unsuitable and a rifle must be used instead. In case you missed the history, Weapons Licensing Branch has been very preoccupied refusing to renew farmers’ pistol licenses. 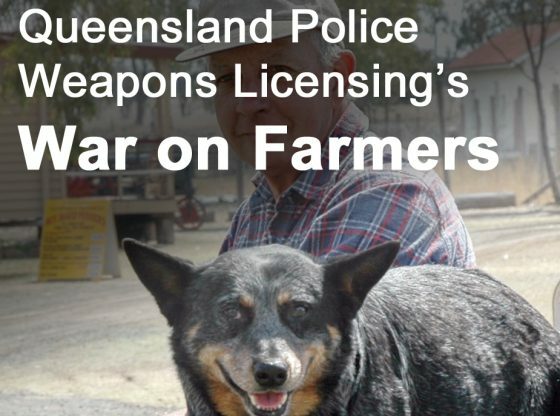 Around two thousand people have (or had) occupational pistol licenses – mostly farmers with large farms and thick vegetation where feral pests and livestock are hard to access. 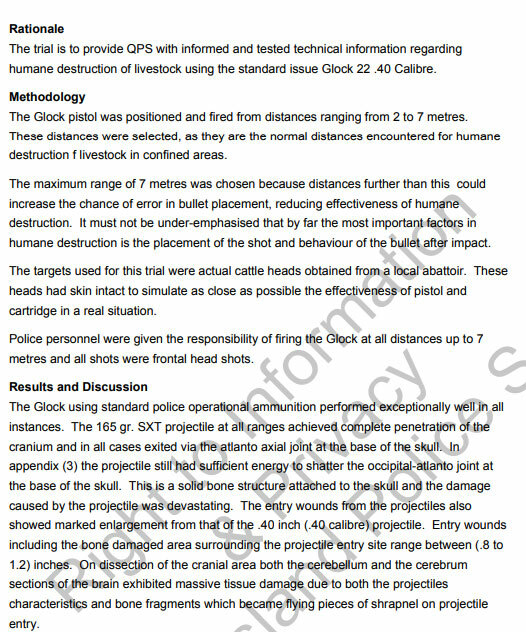 You can read the full story of Weapons Licensing Branch bully tactics and campaigning (here) and their furphy arguments about animal welfare (here). Their crusade seems to be reaching a natural limit with two recent QCAT decisions against them (read about Salmon, the other decision, here). I consider it arguable that, if it is a genuine requirement of an applicant’s occupation that he or she have use of a weapon for personal protection, s 11(c) may be satisfied. First, each of Osborne and Bergmann were based on the weapons legislation in the respective states of New South Wales and Western Australia which expressly provided that an applicant does not have a genuine reason for possessing or using a firearm if the applicant intends to possess or use the firearm for, amongst other things, “personal protection”. No corresponding provision appears in [Queensland’s Weapons] Act. Secondly, in my view, it is at least arguable that personal protection as part of occupational health and safety is not mutually exclusive with possession of a weapon being an occupational requirement (including an occupational requirement for rural purposes). However, a decision on this issue should await a subsequent case where the issue is squarely raised for determination. No doubt a case will eventually emerge that directly raises the issue of personal protection from animals in an occupational context. But you would’ve thought that there could be no animal more dangerous than a salty! In any case, the Tribunal appears to look favourably on the argument that personal protection from animal attacks is a legitimate OH&S issue with real relevance to occupational pistol licenses. Don’t make applicants work to prove things the agency already knows to be true. In our experience, Weapons Licensing don’t seem anxious to observe the spirit of the model litigant rules. They seem to figure that they’re entitled to be an unlimited font of argument and they throw a lot against the wall in the hope some of it sticks.